Original Editor - Laura Ritchie, posting on behalf of Wei Seah, MPT Class of 2017 at Western University, project for PT9584. Goal setting serves a fundamental role in guiding rehabilitation so that a specific outcome is reached. Setting SMART (Specific, Measurable, Attainable, Relevant and Time Limited) goals is a useful way to ensure goals are successful. Shared decision helps to strengthen the therapeutic alliance. It is a process of providing the patient with information and supporting them through the decision making process. The Therapeutic relationship refers to the professional bond between the therapist and patient. It is the key component to a strong therapeutic alliance. The therapeutic alliance has previously been shown to improve patient outcomes in both medicine as well as psychology. It is only recently that investigation has been made into its effects in other rehabilitative sciences. Burns and Evon (2007) studied its effect in cardiac rehabilitation and found that increased self-efficacy is not enough of a factor to predict increase cardiorespiratory fitness, weight reduction and return to work. Instead, it must be combined with a strong therapeutic alliance to achieve these outcomes, and a poor therapeutic alliance can undermine the potential for improvement. Ferreira and colleagues (2012) examined the relationship between therapeutic alliance and patient outcomes on rehabilitation of patients with chronic low back pain. They found that a strong therapeutic alliance leads to increased perceived changes following a variety of conservative treatments. Interestingly, a strong therapeutic alliance was associated with improved disability and function outcome measures, but not pain. Fuentes et al (2013) also conducted a study utilizing patients with low back pain, this time measuring the therapeutic alliance’s effect on pain intensity and muscle pain sensitivity. The results showed that a strong therapeutic alliance can significantly modify perceived pain intensity after IFC treatments, which are displayed below. Another point of interest is the active IFC with limited therapeutic alliance was not statistically different than a sham IFC with a strong therapeutic alliance. A systematic review on the impact of the therapeutic alliance in physiotherapy for chronic musculoskeletal pain found that a significant impact of the therapeutic alliance on patient outcomes. It recommends communication training in healthcare professionals as a way of improving the therapeutic alliance as well as encouraging patient-therapist collaboration in treatment decisions. ↑ 2.0 2.1 Mead N, Bower P. Patient-centredness: a conceptual framework and review of the empirical literature. Social Science and Medicine. 2000;51(7):1087-1110. ↑ Gatchel R, Peng Y, Peters M, Fuchs P, Turk D. The biopsychosocial approach to chronic pain: Scientific advances and future directions. Psychological Bulletin. 2007;133(4):581-624. ↑ Ambady N, Koo J, Rosenthal R, Winograd C. Physical therapists' nonverbal communication predicts geriatric patients' health outcomes. Psychology and Aging. 2002;17(3):443-452. ↑ Freud S. The Dynamics of Transference. The Standard Edition of the Complete Psychological Works of Sigmund Freud. 1912;XII (1911-1913):97-108. 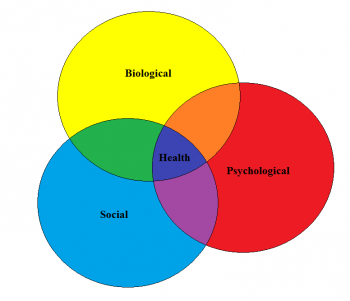 ↑ Hougaard E. The therapeutic alliance–A conceptual analysis. Scandinavian Journal of Psychology. 1994;35(1):67-85. ↑ 12.0 12.1 12.2 12.3 12.4 O'keeffe M, Cullinane P, Hurley J, Leahy I, Bunzli S, O'sullivan PB, O'sullivan K. What influences patient-therapist interactions in musculoskeletal physical therapy? Qualitative systematic review and meta-synthesis. Physical therapy. 2016 May 1;96(5):609-22. ↑ Gyllensten A, Gard G, Salford E, Ekdahl C. Interaction between patient and physiotherapist: a qualitative study reflecting the physiotherapist's perspective. Physiotherapy Research International. 1999;4(2):89-109. ↑ Pinto R, Ferreira M, Oliveira V, Franco M, Adams R, Maher C et al. Patient-centred communication is associated with positive therapeutic alliance: a systematic review. Journal of Physiotherapy. 2012;58(2):77-87. ↑ Silverman D. Communication and medical practice. 1st ed. Inglaterra: Sage Publications; 1987.